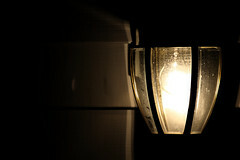 This entry was posted in Literal 4 Lent and tagged "We'll leave the light on for you", boldness, Christian, Christianity, Evangelism, God, Jesus, Lent, Lenten Devotions, Motel 6, Religion and Spirituality, Salt and Light, shine by Pink Shoes Ministries. Bookmark the permalink. I had to laugh at the timliness of your article for it truely is a “Dark Monday”. As you say though, we need to make sure we “SHINE” no matter the weather or what day of the week it is. “Shine” your light for Jesus.